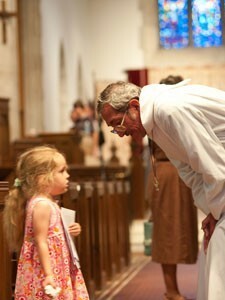 God is doing wondrous work among us at St. John’s. Our ministries make an exciting, varied and vital story of sowing seeds of gratitude. We support the provision of a spiritual center and place of reflection, dedication, learning, service and growth for our members and visitors. By grace, we are alive in God, in service and in witness to Christ. Click here for a catalog of all our ministries, and you may find more information via the listings under Ministries, to the right.